Bringing The Best Out in Women – and You! Hi and thanks for dropping by to find out more about becoming a RenewYou licensed specialist. I hope the following whets your appetite. If it does, we need to talk – an informal, no obligation chat, when we can discuss your business and see if RenewYou, personal development for women would be a good fit. No hard sell, I promise. It has to really work for you to work for me. So, grab a cup of something and read on. One of the things that used to drive me mad was seeing survey after survey concluding we women were lacking in confidence and therefore didn’t rise to the top. I instinctively wanted to reject that. Yet so many well regarded surveys were saying it. In my heart I knew to a degree that it was true. I had coached and worked with some amazingly talented women and, if I was honest, we were working on increasing their confidence, although we may have called it other things. I use the word ‘confidence’ in a very broad sense. I think it is especially difficult for women as for so long we have been socialised to believe we are inferior to men in many subtle and not so subtle ways. That conditioning goes deep, especially in a working environment created by men which, by and large, suits men very well, but was not designed in a gender neutral way. I have had something of a lifelong passion for seeing women treated equally with men. Some might even call it an obsession. It isn’t about being anti men, I love men, but it is about being pro women, wanting to see a more equal society, and a genuine belief that if we have 50/50 in decision making at all levels the world will be a much better place. And the research bears this out, too. Companies with significant numbers of women throughout, but especially in senior roles, make more money and score highly on most of the markers for a good place to work. The climate is changing and all of us are beginning to realise that inequality works for no one. It’s a good time to be delivering the RenewYou message. One of the promises I made to myself when I set up Changing People in 2003 was that I would not adopt a traditional male way of working. I would be true to myself, and do it in a ‘womanly way’. I have strayed now and again but almost always I come back to the premise that the only way I can do this is by being true to myself and totally authentic. I do things my way, despite being occasionally told it’s not business like, or I could make more money if I did such and such. I have tried that, believe me, and it is possible to make more money, but being my own woman was not about money, although obviously I need to earn it, but to work on my own terms. It was about my being in control and finding a new way. Part of that ‘new way’ is the licensing model for RenewYou. I have tried to be really fair, open and honest. I want RenewYou trainers to feel they are getting support and development from me, too, and it’s not just about making financial transaction, (although it can be that if that’s how you like to work). We Do Business Differently – Be Part of the RenewYou ‘Family’. I knew that Jane’s RenewYou workshop was an amazing program which is why I was so pleased to become her first licensed trainer in the United States. I was confident that the women who attended would be as uplifted and inspired as I was when I went through the program. And I was right. 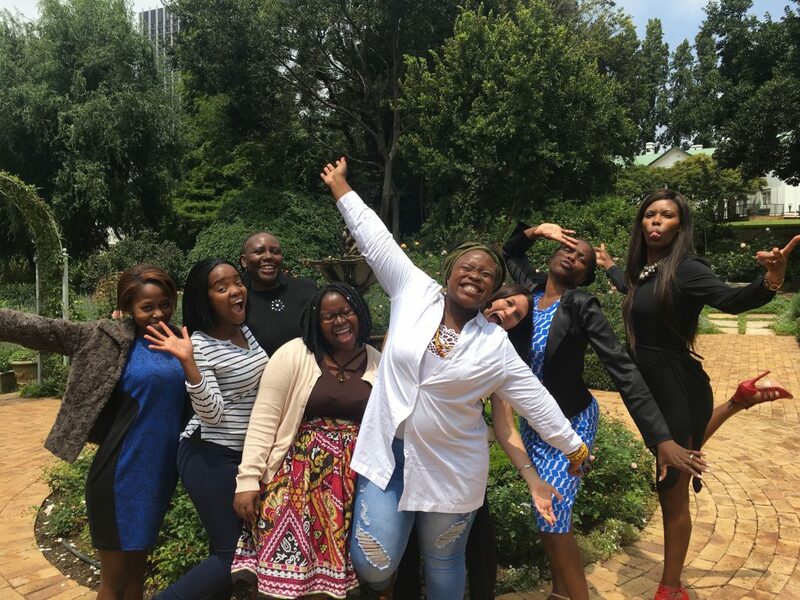 What I didn’t anticipate was the amazing burst of energy and inspiration that I’d receive every time I facilitated the workshop. It’s more than the feedback and good feelings from the group that leave me feeling so enthusiastic. It’s the content of the workshop itself. Each time I deliver the course, I learn something new about myself and come away with new ideas for my business and my life. I return home energized, my mind racing with all sorts of new ideas that I can’t wait to put into practice. It literally takes me a day or two to come down from my mental high. Whether as a trainer or a participant, all I can say is don’t miss RenewYou! Laura J. Mansfield, New Jersey, USA. I’ve got to be honest, I shed a tear when I read that. As it happens Laura’s life has moved on and she is now doing something different, but she was such an important part of the development of RenewYou. She’s still ‘one of the family’ and if she ever wants to pick up her license she is more than welcome. I’m frequently asked, what is RenewYou? In brief, it’s a one day personal development course for women that makes them feel better about themselves, more confident, more focused, more empowered. I initially wrote it just to deliver myself, and never thought I’d end up licensing over 80 women to run it. I wanted a course that would give women a boost, that was about them and every facet of their lives: career, home, passions, and that would leave them feeling that they could do whatever they wanted, that they had choices, and with a plan would help them get there. I also wanted it to feel ‘safe’ not to be another voice telling women what they should and shouldn’t do. Simply a day to explore, reflect, plan, and uncover their talents in a supportive environment with other women. My work in various organisations had convinced me that there was a need for a one day personal development course for women. Longer programmes exist (and are great) but often companies would not, or could not, release staff for them. Women sometimes were reluctant to apply for them and to make a longer time commitment. My interest was in getting to that pool of untapped talent and imbuing them with enough confidence and zizzle to be the best they ever wanted to be, whatever that was. And, to be totally honest, I wanted a course that companies would book, or release staff to attend, as my experience was that once I had worked somewhere I got asked back. It was my calling card, I suppose. It was to be just one facet of the various things I offered. However, RenewYou had other ideas. It took on a life of its own. The women loved it. It had a life enhancing effect and I was getting feedback saying “This course has changed my life“. I have found myself in tears at the end of the course with some of the amazing stories that the women shared. Managers were telling me that they could see a difference in the women who came back from the course. The evaluations were fabulous. I loved delivering it. I realised it wasn’t just a temporary fix, but had lasting effects on most of the women who did it. Somehow the word spread and trainers began approaching me asking me if they could deliver it, too. I alway said no. I could not envisage a business model that sat comfortably with me and allowed me to be my authentic self, while not exploiting trainers themselves and involving me in moving away from my own face to face contact with women. I also was happy as I was and doing very nicely. Well, I am going to licence you to run RenewYou for free. She was right of course, so I set about coming up with a model which I could happily deliver and felt true to me and my value base. Who is RenewYou Suitable For? How RenewYou will help you grow your training business. RenewYou, our one day course for women, lends itself to organisations wishing to grow their pipeline of women into senior roles. Gender Equality/Equal Pay is constantly in the news and RenewYou can benefit companies who need to get more women into their management pipeline. Participants have reported a 40% increase in confidence, and an increased willingness to take up further professional training. RenewYou, one day confidence-boosting course for women, gives you something new to offer existing clients and a powerful reason to get back or stay in touch. RenewYou can help you find new clients for your business. RenewYou can be delivered as an open course i.e. you find a venue and promote it, or in house to your existing clients. You can invite clients to an open RenewYou course to introduce them to your new offering and remind them of your other products. RenewYou lasts just one day with a booster at 3 months, a bonus for companies who can’t always spare staff for longer training. 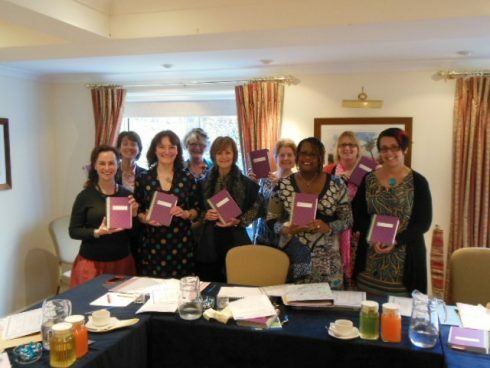 All course participants receive a specially designed RenewYou journal with space for each individual trainer to include their contact details, (and other offers) for follow up contact. The journal is designed to stay with the participant for 12 months, meaning you, in effect, are also ‘with them’. You only pay a one off licensing fee. You then only pay for the costs of journals for your courses and that’s it. No percentage on fees you receive, no extra days or upselling. Your costs are fixed. You decide what fee to charge, advice is available if you wish. You have access to support and marketing information 24 hours a day through your privileged access to the website. 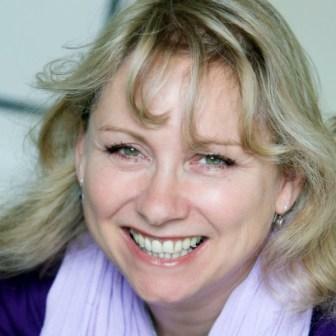 You get six personal coaching sessions with Jane as part of your licence, tailored to your unique business needs. Your licence lasts for 2 years with a very small renewal fee if you wish at the end of that time currently £65. There is no pressure to stay. Many organisations want a follow up day which is whatever you decide it is with them, in other words it can lead to follow on work for you. It works really well as a basis for ongoing coaching or using personality profiling systems you may be qualified in. ( As part of an MBTI/coaching package, for example). Uniquely, it works at every level in business from support staff to executive senior managers. Taking the journal (and offering a RenewYou bag or two in any raffles) is a great way of getting attention at local networking events, or when meeting clients. You actually have a physical product to show clients and the journal gets rave reviews. What Type of Trainer has Most Success with RenewYou? We have completed a comprehensive survey of what makes a successful RenewYou specialist, i.e. one who puts on several courses, gets good feedback, and recoups her initial investment very quickly. Below are some of the factors we’ve identified; if you can answer yes to 6 or more of these points we are very confident that RenewYou will be right for you. You are already experienced at delivering courses, or working with groups, preferably in the field of personal development or ‘soft skills’. You have an existing client base where you can promote RenewYou, and have thought through how to promote it and use it within your business. You have a professional website and it’s regularly updated (i.e. you can post details of RenewYou on it and use that link elsewhere). Re above, you will probably be familiar with LinkedIn, Twitter, Instagram etc. Its not compulsory but it is a success indicator in our survey. You have a feel and understanding for ‘women’s issues’. By which we mean an understanding, not a PhD, of some of the current issues women face at work. Lots of material is available on this website if you need a refresher, and if you sign up to the blog you’ll get regular updates. You work hard on your business, as well as in it, and want to succeed. RenewYou doesn’t sell itself, although we will help as much as we can, and requires an investment of time, too. You want to remain independent but also now and again to enjoy on line support. You can dip in and out as you wish. Importantly, we discovered that trainers who run a course within the first two months of becoming licensed go on to have the most success with RenewYou. Once you have signed up to become a trainer you will receive your trainer pack. 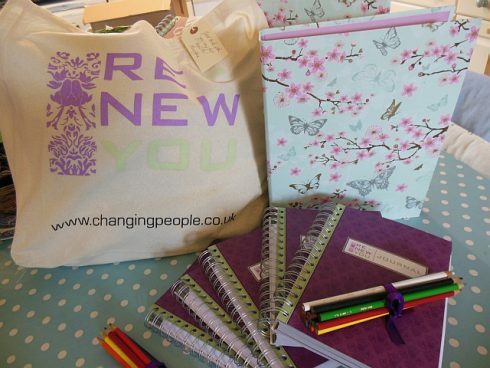 This contains your trainer manual, two copies of the RenewYou journal, (one for you and one to show prospective clients), and a RenewYou bag to take to your sessions. You will also receive a code to log into the website and get access to marketing information, how to add your details, etc. You choose just how much you make visible to the public. Then you have an initial coaching session with me prior to beginning your trainer manual. Your special code gives you access to recorded sessions from me, chapter by chapter. I’m not just reading out the manual (that would be dull!) but I am explaining what the session is about, reactions you may expect, etc. You can do it a chapter at a time, in your own time, or all at once. I can be really flexible to meet your needs. I used to run training days and still do from time to time, if there is enough demand, but I realised that for some women this was proving tricky. If you are self employed and good piece of work comes in, of course, you have to take it. I understand that. With the online model, supported by coaching directly from me, you can manage this in your own time. If you are an independent trainer, sole trader or small business, the cost of one person becoming licensed is currently only £2000.00. It is entirely possible to recoup the costs of this within one RenewYou course, certainly within two. For example, depending on your pricing model, if you have twelve women on a course and charge each of them the relatively modest price of £299 each you will gross £3,588. Let’s say venue and other costs come to a generous £600. Journals will cost you £360 plus postage. You would still make a small profit on your first outing and be in profit with subsequent courses. I’ll support you through your first course, and second and third if you need me. If all that has whetted your appetite please get in touch. I’ll answer all your questions and together we’ll work out whether RenewYou is a good fit for you. There is no hard sell, ever. By the way, we accept BACS, debit & credit cards, and Pay Pal. If you need to pay in instalments, talk to us. We try to do our best for you whenever we can. Trainers outside the UK pay in GBP. Next Steps: Please email me with the following information: your name & address, your website link, or Linkedin profile, training experience, and how you think RenewYou could benefit your business. I’m currently moving offices so our landline is temporarily unavailable. Then we’ll simply have a confidential, no obligation chat. If it’s going to be good for you then it’s good for us, too, and the more women we ’empower’ the better. In my dreams I’m going for a million! PS. 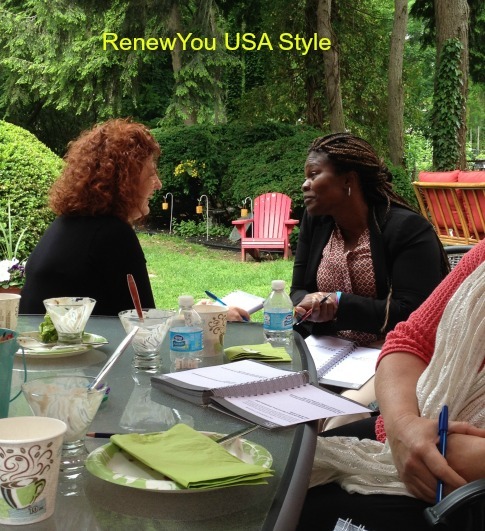 I am often asked whether RenewYou is open to transgender women. The course when delivered by me, and licensing is open to anyone who identifies as a woman.